When it comes to image editing tools, there are many different software applications to choose from, but Adobe’s Photoshop has been the most popular tool for this particular task for a very long time now. However, in spite of the fact that Photoshop is indeed very popular, most people do not know a lot about this software application, except for the obvious information everybody knows. Everybody knows that Photoshop is the best photo editing and organizing software you can decide to use; everybody already knows that Photoshop CS6 training is easy to find; and everyone knows that Photoshop offers an extensive range of tools and functions you can use. On the other hand, there are many interesting things about this software that are not widely known, and here you will be able to familiarize yourselves with these interesting facts. Owing to the fact that showing grayscale images on monochrome displays was not possible at the time, a man named Thomas Knoll, who was a student at the University of Michigan, developed a simple application that could do this, and named this application Display. Later on, Thomas’ brother John got involved with this interesting project and urged Thomas to develop the application further, so Photoshop was created from the original Display. At first they used to sell Photoshop alongside Barneyscan scanners, but they later convinced Adobe to purchase the license for the distribution of the application in 1988. 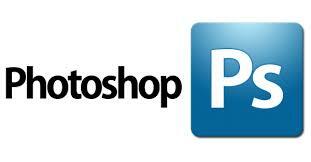 So, the real history of the Photoshop we know today officially began in this year. #59 Daily Dose : What type of camera is used for Google Street View?